We always have a State Licensed Contractor on every job site, You can relax knowing your installe will be done correctly. We have a highly trained HVAC expert ready to take on any conditioned air system. You can call us 24Hrs a day or click on the contact us tab to set up a time that is convenient for you. keeping your family comfortable, safe and healthy is always a concern.IAQ products can help clean your entire home and help maintain your HVAC system. Plus Air Conditioner Service in Jesup. Need to control a single room? or did you just add on to your home? Mini Splits are very efficient in providing comfort to a single room. We Even Service Savannah an Brunswick. I can't begin to say enough good things about your company. I had an emergency at my house in Jesup and you were there! The young man you sent to install my Heat pump was one of your best. Clint Hendrix did a great job and was so polite and helpful. It is not often that you can find the service Airworx provided today. Many, many thanks to you from us. This letter is to thank you for a job well done, outstanding cooperation and extra efforts during the course of the entire Air Conditioning Construction Phase in Jesup. AirworX of Jesup kept all established deadlines, worked very well with the entire construction team and produced a project that had zero items on the final punch list. It has been a pleasure to work with you and your staff on this project and I hope to have the opportunity to work with you and your company in the future. Providing HVAC Heating Air Conditioning Repair Service to Jesup, Hinesville, Savannah, Brunswick and More. Air Conditioner Problem? Call (912)271-8558 Airworx has the proper resources to plan and execute the proper HVAC System on your home or office. We have a history of providing the best sales, service and installation of A/c Systems. 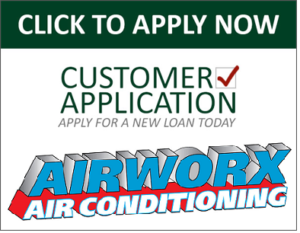 whenever your heat pump goes out call AirworX. they will provide assistant anytime. CLICK HERE FOR FINANCING!